Save the Gibbon (in pink) is one of JGI Hong Kong’s Roots and Shoots group based in Hong Kong Academy in Sai Kung. The group of students have done several projects aimed at helping the critically endangered Hainan Gibbons. Together, the group of students have raised awareness through their self made websites and Facebook page. They have also spread the message within the school and other neighbouring schools through research and presentations. Earlier in the year, their bake sale successfully raised HKD$3,500 as donation to Kadoorie Farm on their China Conservation Projets helping Hainan Gibbons. 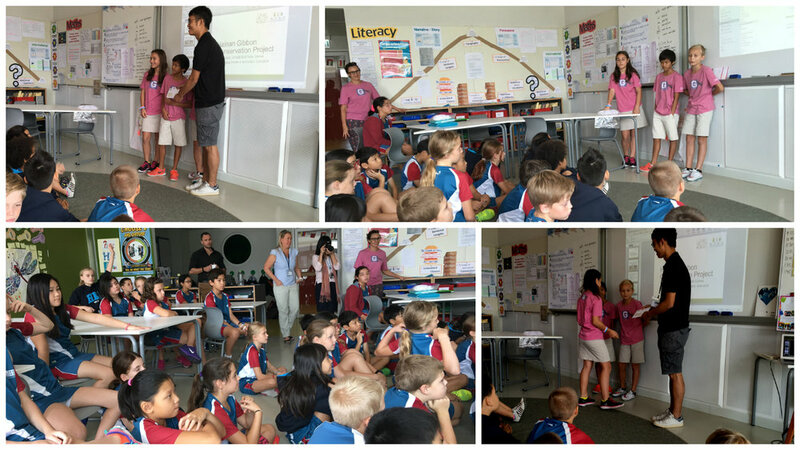 Kadoorie Farm visited HKA to give a talk on their gibbon conservation efforts to 30 students and to receive Save the Gibbons’ contribution. This is an excellent example of youths using their own skills and creative ideas to bring positive changes to global issues they care about through the Roots & Shoots channel. 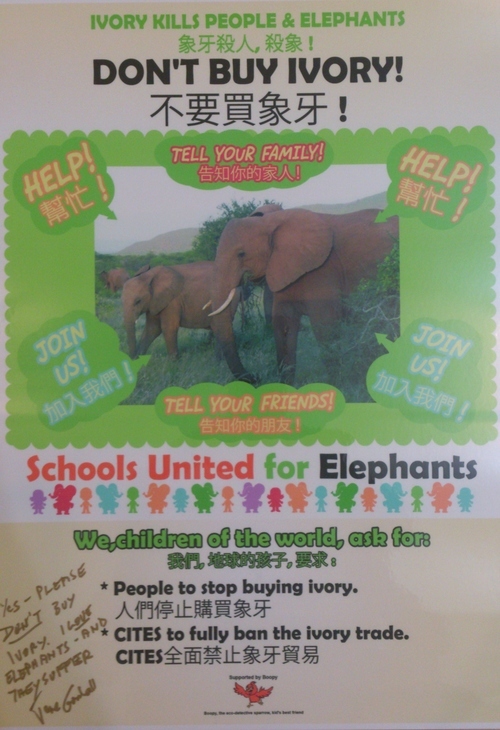 Celia, a Form 3 student at True Light Girls’ College, speaks out against ivory trade. She has written a letter to a newspaper and designed a poster to raise awareness about the issue. 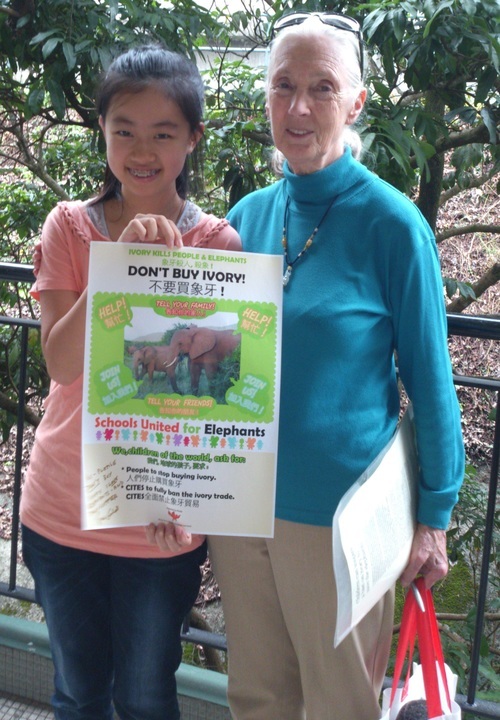 She got the backing of Dr. Jane Goodall, Eco-Sys Action and lots of others.